Hi, my name is Savannah Bushnell and here’s what’s going on around town for kids like me. 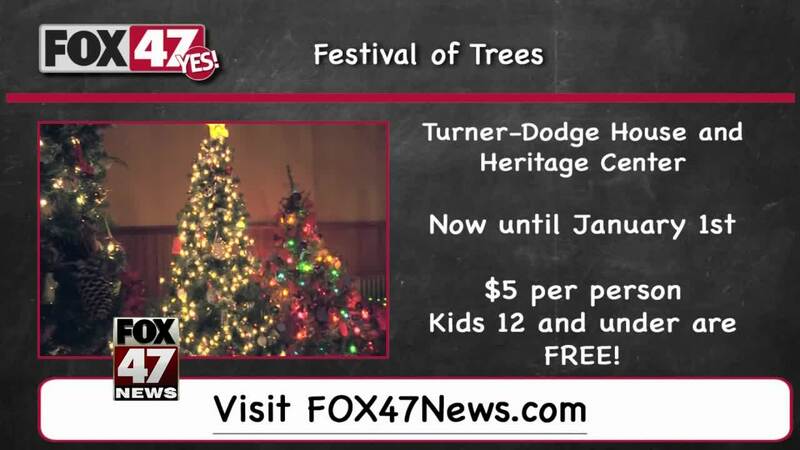 Christmas may be over but you still have time to visit the Festival of Trees. Until January 1 you can visit the Turner-Dodge House and Heritage Center to see all of the amazing trees that were decorated by businesses and people from the Lansing area. This event only costs $5 per person and kids 12 and under are FREE. For more info on events like this, go to FOX 47 news dot com, my name is Savannah Bushnell now back to the FOX 47 studios.